კუკის კარიერა დაიწყო 1980-იანი წლების ბოლოს, ინდი-როკ ჯგუფ The Housemartins-ის ბას-გიტარისტის სახით. ჯგუფის მთავარი, ბრიტანული #1 ჰიტი იყო Isley-Jasper-Isley-ის სიმღერის "Caravan of Love" ა კაპელა ვერსია. დაშლის შემდეგ კუკმა ჩამოაყალიბა Beats International, რომლის სადებიუტო ალბომის მნიშვნელოვანი ჰიტი იყო "Dub Be Good to Me" - ბრიტანეთის ჩარტში #1 ადგილით და 1990 წლის შედეგებით რიგით მეშვიდე ყველაზე გაყიდვადი სინგლის სახით. კუკის სხვა პროექტები იყო Freak Power, Pizzaman და The Mighty Dub Katz. Fatboy Slim-ის ფსევდონიმი კუკმა 1996 წელს აიღო და გამოსცა ალბომი Better Living Through Chemistry. მას კრიტიკოსთა აღიარება მოჰყვა. შემდეგი ალბომები You've Come a Long Way, Baby და Halfway Between the Gutter and the Stars, დაკავშირებული სინგლებით "The Rockafeller Skank", "Praise You", "Right Here Right Now" და "Weapon of Choice" ასეცე დადებითი შეფასებებით და კომერციული წარმატებით აღინიშნა. 2008 წელს კუკმა ჩამოაყალიბა პროექტი The Brighton Port Authority. იგი აგრეთვე არის მრავალი რემიქსის ავტორი შემსრულებლებისთვის, რომელთა შორის არიან Cornershop, ბისტი ბოიზი, A Tribe Called Quest და Wildchild. მთავარი სტატია : ნორმან კუკის დისკოგრაფია და Fatboy Slim-ის დისკოგრაფია. შეგიძლიათ იხილოთ მედიაფაილები თემაზე „ნორმან კუკი“ ვიკისაწყობში. ↑ 1.0 1.1 “Changes of Name“, UK Government, 8 July 2002, გვ. page 8166. ↑ “Birthdays“, Guardian Media, 16 July 2014, გვ. 29. წაკითხვის თარიღი: 16 July 2014. ↑ “Fatboy Slim“. წაკითხვის თარიღი: 1 November 2014. 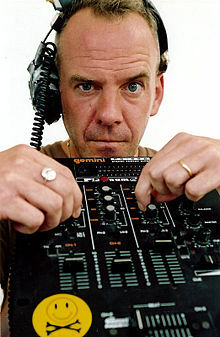 ↑ Fatboy Slim | Music Videos, Songs, News, Photos, and Lyrics. MTV (31 July 1963). წაკითხვის თარიღი: 12 September 2011. ↑ Fatboy Slim Pulls into Brighton Port Authority. Billboard. წაკითხვის თარიღი: 14 July 2012.
ეს გვერდი ბოლოს დარედაქტირდა: 19:10, 8 ივლისი 2018.